Home » Service Manual Catalog » CANON Service Tools » ST_V2000 I have paid for Reset Key but not received yet. AGRADECO MUITO PELA AJUDA PECO QUE VOU SEGUIR AS RECOMENDA ..
CANON Service Tool V2000 for iP series, MP series, MX series printers work under Windows OS only. 2. Unzip downloaded file by WinZip. - connect the printer by USB cable to the PC. 4. Run the Service Utility.exe program. 6. 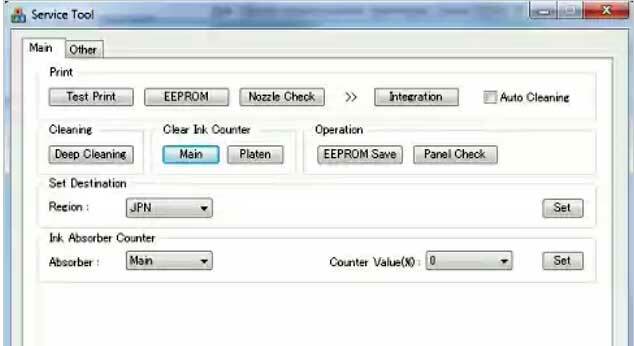 In the Ink Absorber Counter section of the Service Tool, select MAIN from the Absorber pull-down menu. 7. 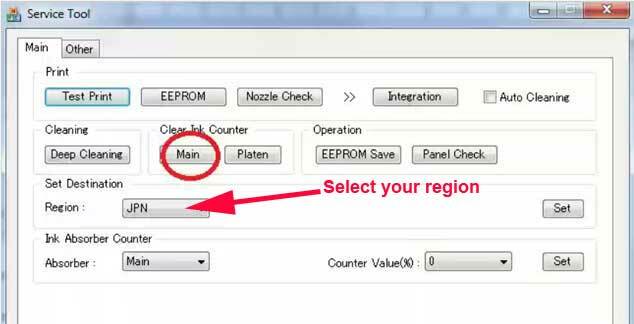 From the Counter Value(%) pull-down menu, select the value (in 10% increments) which is the closest to the actual counter value confirmed before replacement of the logic board, and click SET. 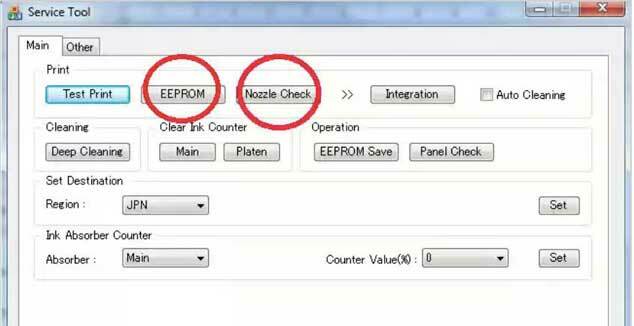 Print EEPROM information to confirm that the value is properly set to the EEPROM. Es funtioniert einwandfrei und auch genauso einfach, wie es beschrieben ist. Einfach spitze! Thanks from Germany!! Amazing Support, This is what happened, I had to think for more than 4 hours about the purchase and program authenticity. Finally decided to gamble, Registration 1 min Payment instant Call Back in 1 min Mail with key check 2 min Input key in WIC and reset 1 min VOILLA!!! Printer was ALIVE..Again.... Was an amazing purchase. P.S. I do not post reviews for any purchases made unless they are a real pain in the ..., or unless the product is amazing.